• 800ml (27fl. oz) of flittered, mineralised rainwater with Apple cider vinegar or lemon, plus some fresh ginger and turmeric, often with a pinch of salt for electrolytes. 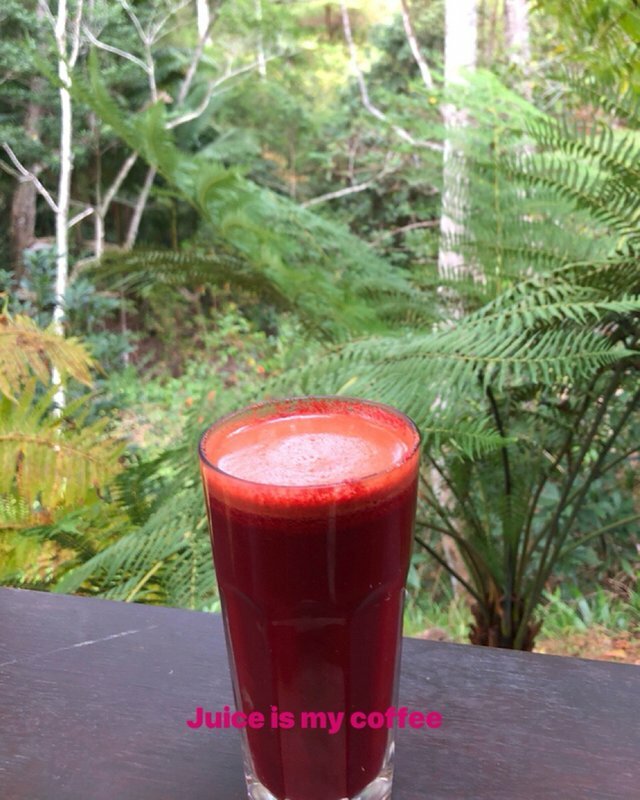 This rehydration and alkalising of the cells also activates the internal organs like a good kick start. • Approximately 600ml (20fl. oz) of freshly pressed veggie juice. This nutrient dense food in liquid form stripped of its natural fibre is instantly absorbed and beats any vitamin supplement you could waste money on. • Approximately 700ml (23fl. oz) of vegan smoothie. This is filled with salad greens, bananas and activated nuts and seeds. This comes with the fibre so that any healthy fructose (yes healthy sugars) are slowly absorbed. This is already a superfood without having to pay for exorbitant powdered superfood products. That being said, I do often add things like raw cacao, maca root, sprouted rice protein powder. Those three stages of healthy liquids give me enough energy and sustenance to last until mid-late afternoon when I eat my first solid meal. 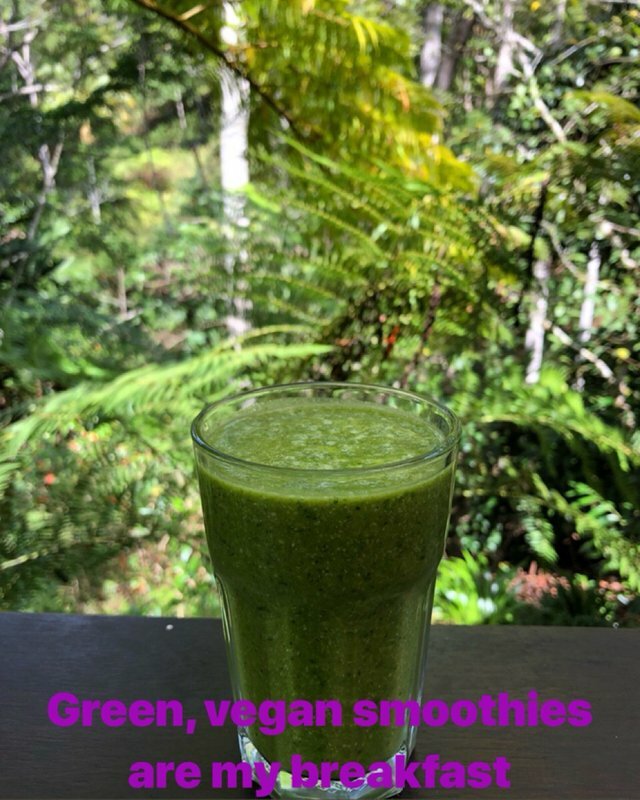 I’ve been doing vegan smoothies daily for 20 years and juices daily for 15 years, so if you’d like specific recipes and what their benefits are, let me know. I was wondering which of the kids was going to say something like that. Hehe. Great that you’re diet is about 90% raw veg. That’s quite hard to achieve for most. Yes, exercise after water, but before juice or smoothie is a great order of things.